Disaster or emergency can strike at any time. A simple survival kit is something to have in your pack or vehicle to help you survive any emergency situation. The contents will help you secure warmth, shelter, water and a method to signal for help. 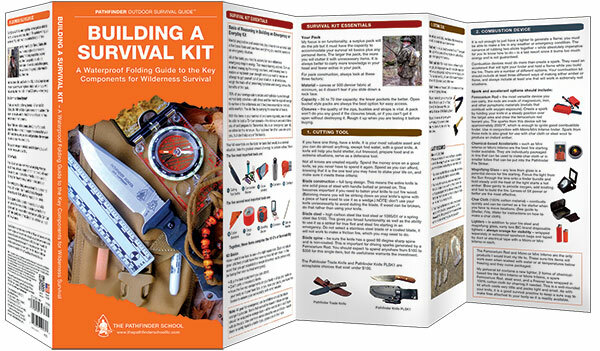 Be prepared by assembling a simple survival kit. 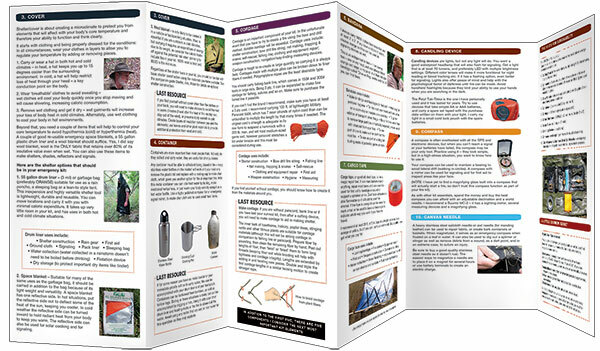 Contents developed by master woodsman and survival expert Dave Canterbury, it discusses the 10 essential contents of a simple survival kit and the multiple uses for each tool and survival mentality. Printed on waterproof paper for durability, this weather-resistant reference is an excellent source of portable information that could save your life. Made in the USA.